Time Is Money: Reliability in Railway Machine Parts - P.D. Peterka & Associates, Inc.
PD Peterka has maintained a stellar relationship with a rail company manufacturing a large percentage of all railway tie replacement machinery since 2009. However, at one point in that relationship, a competitor offered to do the same work at a lower price, and the customer chose not to renew their old contract with PD Peterka. Over time, however, it became clear that those who claim to do something better, faster, and cheaper can’t always put their money where their mouth is. Unfortunately for our customer, their new vender could not meet the quality control standards PD Peterka had previously set. The machinery needing replacement parts runs along railroads, pulling up old or damaged ties and replacing them with new ones. The machines themselves require maintenance like any other machine in order to continue to do their job and maintain the railway system across the United States. When the machines themselves are broken down, the entire rail system is destabilized and vulnerable to serious accidents and hazards. For this reason, quality parts that arrive on time are essential to supporting the entire railway industry. When our competitor produced defective machine parts, or delivered product late, our customer suffered serious losses. 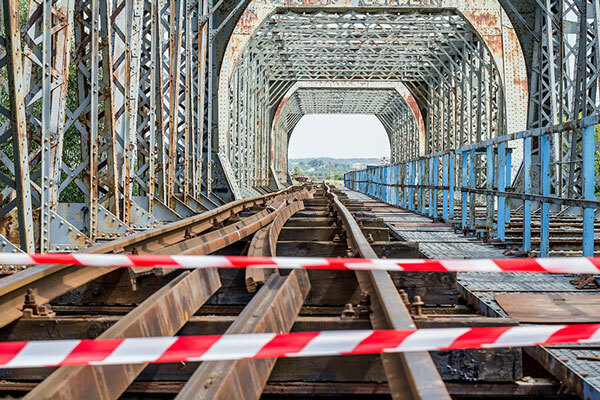 Though the price was lower than what PD Peterka could reasonably offer, the lack of quality and reliability resulted in a net loss for the railway repair machinery manufacturer. By the end of our competitor’s contract, our old customer decided to renew their relationship with PD Peterka. In the years since, PD Peterka has won quality and timely delivery awards, and produced machined parts at an unprecedented turnover rate. This particular customer requires large orders of parts in a short period of time, and only PD Peterka has been able to keep up without sacrificing quality or reliability through our Just in Time machined parts production process. As an outsource manufacturing machine shop, our superior products, delivery, and service set us apart to provide national corporations the security they need. For more information on PD Peterka’s Just in Time machined parts services, head to the contacts page on our website or click here, and send us your inquiries. Do you have a related topic you would like to learn more about? Fill out the form below and we'll answer your topic with an email or a blog.